work on strengthening the muscles in the fingers and hands – closing the hole punch is a hand workout! 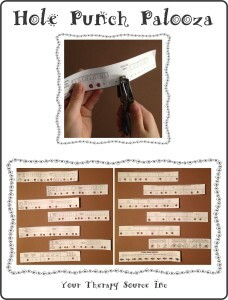 If you need other hole punch activities, check out Hole Punch Palooza. 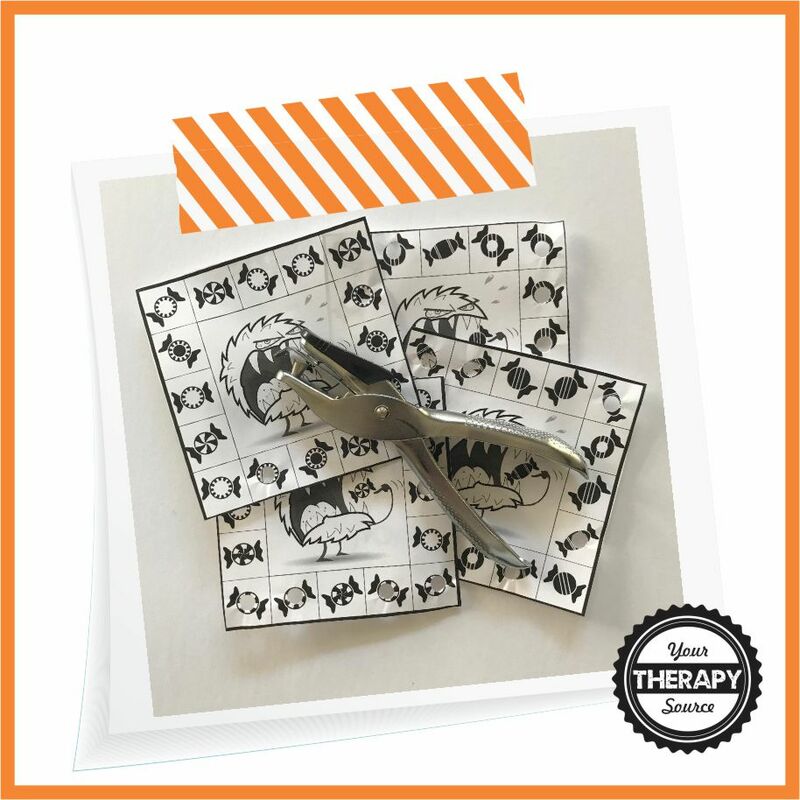 Hole Punch Palooza – Download of over 100 hole punch strips – punch out matching letters, shapes, numbers and visual discrimination challenges. FIND OUT MORE. 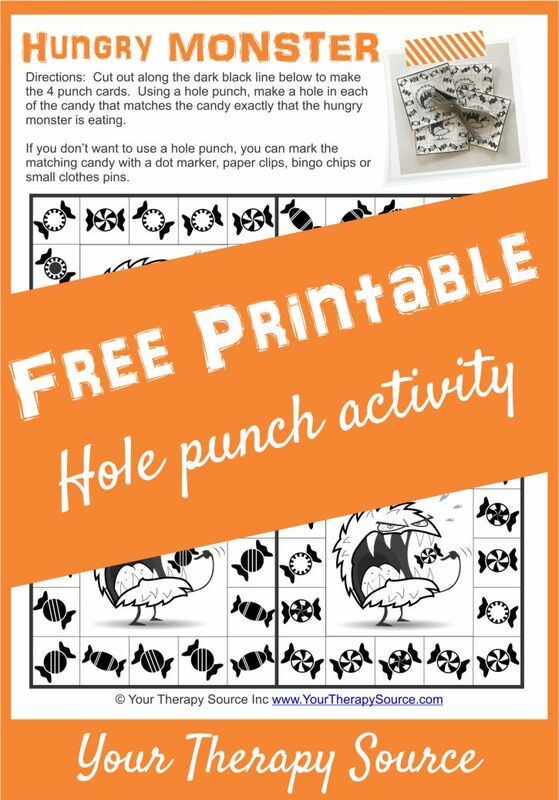 To get your Hungry Monster Hole Punch FREE printable, sign up to receive our email newsletter. If you already subscribe, just enter your email and the download will open in a new tab.